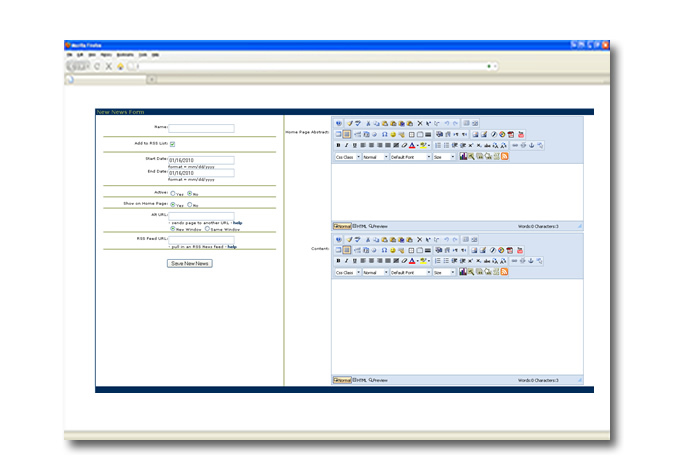 The News System makes it easy to include your own current news feed on your website. 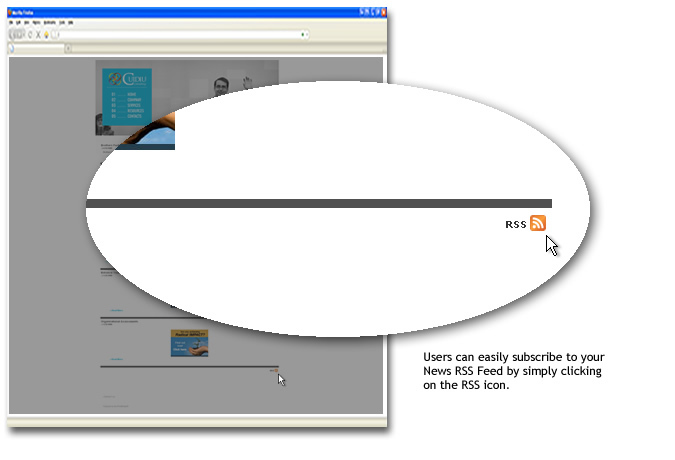 With the Sub-site system, you can also give each individual sub-site its own News area. 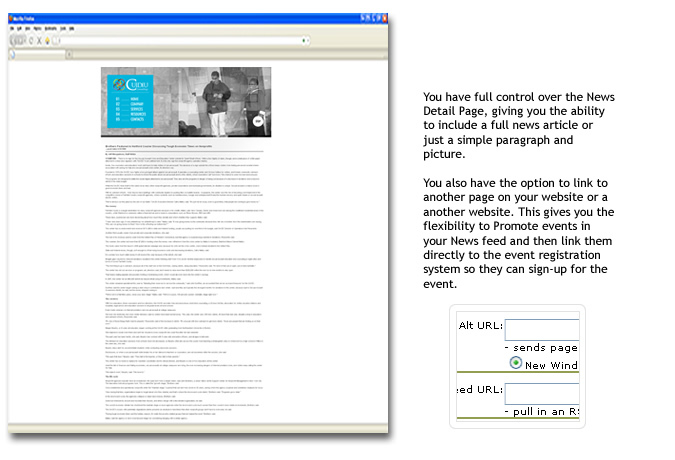 You also have the ability to pull in outside news feeds as well as control the News abstract and full page content.